Does our soteriology stand up to the awful reality of hell? Okay, I know I already posted about Christopher Hitchens, but some of the chatter on the blogosphere has prompted further reflection. Do we really believe what we say we believe? Does our professed soteriology (doctrine of salvation) waver when it is confronted by unbelievers with the awful reality of hell, and the death of “good” non-believers? The bible is very clear on the fate of those who reject God, and any attempts by Christians to gain approval from the unbelieving crowd by downplaying hell will be sniffed out for what it is: hypocrisy. In fact, the repeated theme of 1 John is tests by which we can know if we are in Christ. Christians who attempt to soften the reality of hell by saying “we can’t know the mind of God and can’t possibly know who is in hell” are completely undermining the gospel for the sake of being accepted by the world. Equally damaging to the gospel are the supposed Christians who are taking pleasure in Hitchen’s death (another of 1 John’s evidences of salvation is love for one another!). Why does hell become more difficult for Christians to preach when the dead man in question was charming, literate, and passionate? I didn’t see a single blog post on the possibility of Kim Jong Il being in heaven “because we don’t know the mind of God”. 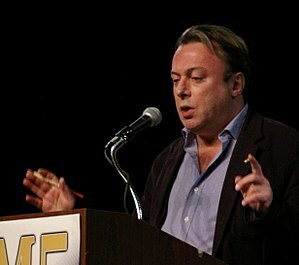 If Christopher Hitchens or Kim Jong Il is in heaven, and either of them very well may be, it will not be because God valued their philanthropic efforts. It will not be because God credited whatever good they did in the world as in His name, even though they didn’t realize they were doing it in His name. No. They were both found wanting as sinners at the judgment seat of God. Only if, in faith, they claimed the righteousness of Christ will we meet them in heaven. And that goes for every one of us, whether you are a proclaimed atheist, a bible belt Baptist, or an evil dictator. married to emily recker, love of my life. redeemed by the obedience and blood of my savior, Jesus Christ. happy to be here, even if here is currently afghanistan.